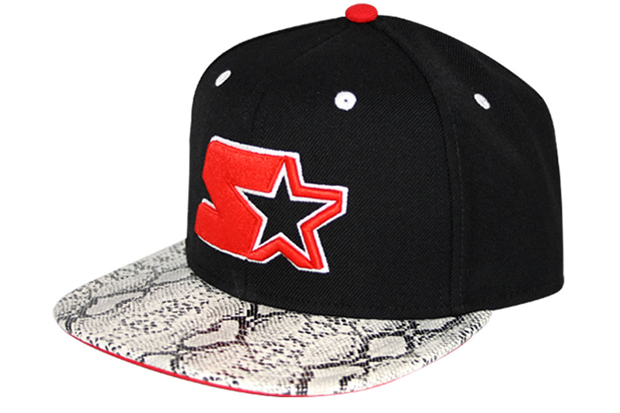 Starter look set to be making a big return in 2012 with the addition of these Snakeskin snapbacks to their roster of basic designs. Made relatively famous in recent years by their collaborations – chiefly with TISA which were worn by American hiphop stars throughout the last few years, Starter are looking towards Europe for 2012, focusing first on headwear as they are renowned for, and delving into sportswear and footwear in the not so distant future. 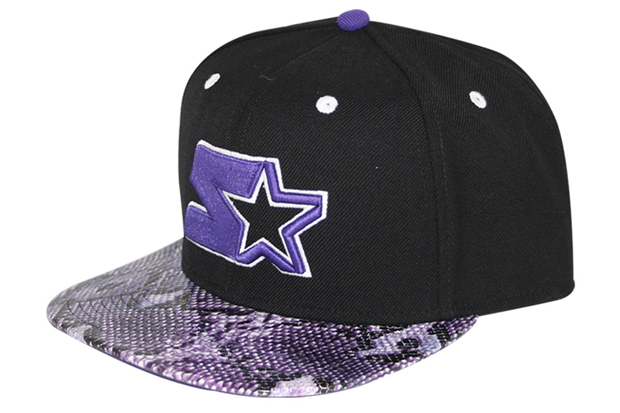 Starter licensee Refuel have launched these snakeskin caps in order to create a buzz around the brand, available in a myriad of colourways as depicted, I can see these being up snapped up quickly given that they’ve limited the drop to 500 pieces. 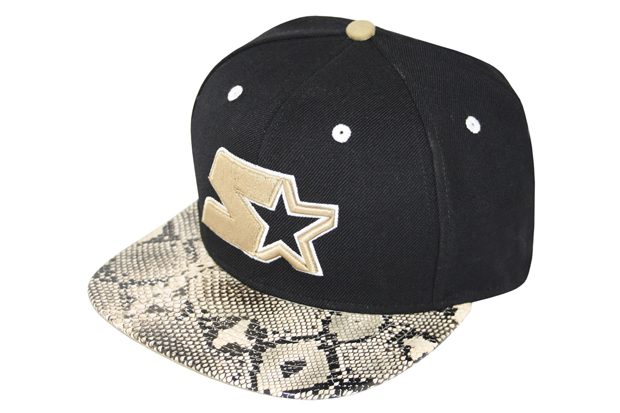 The caps feature the brand’s star logo on the front of a black crown, matching the snakeskin peak and underbill in colour. My favourite of the colourways has to be the gold, somehow offering a muted take on a rather vivid design. 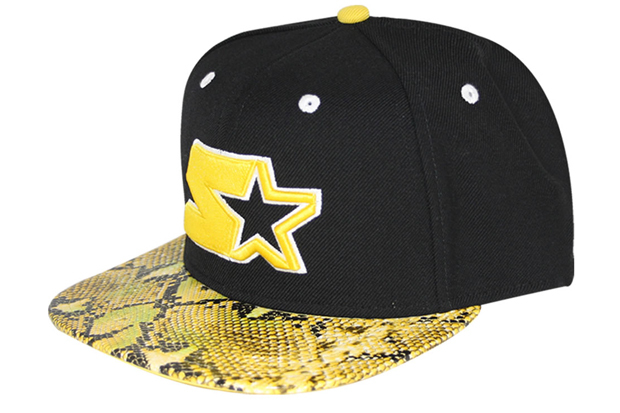 The snakeskin caps are now available from Refuel. theyre like the supreme leopard print fivers… but really REALLY bad. These pics actually made me throw up in a my mouth a little bit. Awful. Expect something a little better from a verteran stalwart like Starter. Of course being Starter, Im sure the fit and embroidery is on point, but the design lacks class. Bit like a last minute rush to jump on that snakeskin wave, but that boat has already sailed. Refuel have the Euro license for Starter, so they design these hats…not Starter. Starter own zero sports licenses so rely on brand colabs to get the hats out. That’s why there is such a discrepancy between some sick Starter hats by the independent street wear brands in the UK, Europe and US and then…these things. only i would cop is the bred one..
Hi, please how or where i can buy black/gold kind ?